[S300] Norma Walker Anderson, Sarah Junell Walker Mullinnix, and Bobbye Roberts Harkins, comps., A Genealogical Record for the Descendants of Lt. Isaac Walker and Elizabeth Stuart (n.p. : n.pub., 1995), p. 154-A (naming Joe M. Gay as his father). [S300] Norma Walker Anderson, et al., A Genealogical Record for the Descendants of Lt. Isaac Walker and Elizabeth Stuart, above, p. 154-A (naming Ada Alma Harwell as his mother). [S312] Social Security Death Index, online at http://tinyurl.com/AncestrySSDI, viewed on 6 Feb 1998. [S137] Index to Texas Delayed Probate Birth Records (Austin, Tex. : Tex. Dept. of Health, Bur. of Vital Statistics), vol. 13, p. 6287, file 323241. [S312] Social Security Death Index, online at http://tinyurl.com/AncestrySSDI, viewed on 6 Feb 1998 (not naming the place of death but stating that he lived in San Angelo, Texas when he died). [S11] Index to Texas Death Records (Austin, Tex. : Tex. Dept. of Health, Bur. of Vital Statistics), typescript, 1989 (microfiche), p. 726, file 98349. [S117] Marjorie Gay Jones, 3505 Nogales Dr., Dallas, Tex. 75220, letter to Kellie Loop, ca. Mar 1974. [S300] Norma Walker Anderson, Sarah Junell Walker Mullinnix, and Bobbye Roberts Harkins, comps., A Genealogical Record for the Descendants of Lt. Isaac Walker and Elizabeth Stuart (n.p. : n.pub., 1995), p. 154-C.
[S300] Norma Walker Anderson, Sarah Junell Walker Mullinnix, and Bobbye Roberts Harkins, comps., A Genealogical Record for the Descendants of Lt. Isaac Walker and Elizabeth Stuart (n.p. : n.pub., 1995), p. 154-C (naming George German Harwell as his father). [S137] Index to Texas Delayed Probate Birth Records (Austin, Tex. : Tex. Dept. of Health, Bur. of Vital Statistics), vol. 16, p. 7615, file 932032. [S300] Norma Walker Anderson, et al., A Genealogical Record for the Descendants of Lt. Isaac Walker and Elizabeth Stuart, above, p. 154-C (giving only the date). [S1294] U.S. Department of Veterans Affairs, national gravesite locator, online http://gravelocator.cem.va.gov, SSgt Harold L. Harwell, searched on 18 Jan 2014 (giving the date but not the place). [S1294] U.S. Department of Veterans Affairs, national gravesite locator, online http://gravelocator.cem.va.gov, SSgt Harold L. Harwell, searched on 18 Jan 2014. Hiram Street Walker, Jr., courtesy of Jane Hall. [S300] Norma Walker Anderson, Sarah Junell Walker Mullinnix, and Bobbye Roberts Harkins, comps., A Genealogical Record for the Descendants of Lt. Isaac Walker and Elizabeth Stuart (n.p. : n.pub., 1995), p. 156 (naming Hiram Street Walker as his father). [S300] Norma Walker Anderson, et al., A Genealogical Record for the Descendants of Lt. Isaac Walker and Elizabeth Stuart, above, p. 156 (naming Lucretia Payne as his mother). [S300] Norma Walker Anderson, et al., A Genealogical Record for the Descendants of Lt. Isaac Walker and Elizabeth Stuart, above, p. 156-A. [S300] Norma Walker Anderson, Sarah Junell Walker Mullinnix, and Bobbye Roberts Harkins, comps., A Genealogical Record for the Descendants of Lt. Isaac Walker and Elizabeth Stuart (n.p. : n.pub., 1995), p. 156-A. Robert German Walker, courtesy of Jane Hall. Mary Elizabeth Walker Payne, courtesy of Jane Hall. Other Names*: Mary Walker, Mary Elizabeth Walker Payne, Mary Elizabeth Payne, Mary Walker Payne, Mary Payne. [S300] Norma Walker Anderson, Sarah Junell Walker Mullinnix, and Bobbye Roberts Harkins, comps., A Genealogical Record for the Descendants of Lt. Isaac Walker and Elizabeth Stuart (n.p. : n.pub., 1995), p. 156 (naming Hiram Street Walker as her father). [S961] Find A Grave, online at http://www.findagrave.com, memorial for Mary Elizabeth Walker Payne, memorial no. 8393679, viewed on 10 Sep 2013 (naming Hiram Street Walker as her father). [S300] Norma Walker Anderson, et al., A Genealogical Record for the Descendants of Lt. Isaac Walker and Elizabeth Stuart, above, p. 156 (naming Lucretia Payne as her mother). [S961] Find A Grave, online, above, memorial for Mary Elizabeth Walker Payne, memorial no. 8393679, viewed on 10 Sep 2013 (naming Lucretia Frances Payne as her mother). [S300] Norma Walker Anderson, et al., A Genealogical Record for the Descendants of Lt. Isaac Walker and Elizabeth Stuart, above, p. 156. [S961] Find A Grave, online, above, memorial for Mary Elizabeth Walker Payne, memorial no. 8393679, viewed on 10 Sep 2013. 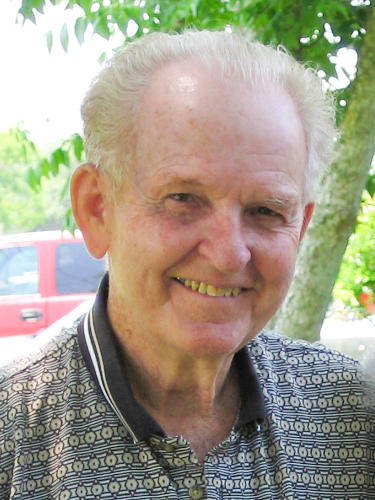 [S961] Find A Grave, online, above, memorial for Sherman Lee Payne, Sr., memorial no. 8393683, viewed on 10 Sep 2013. [S961] Find A Grave, online at http://www.findagrave.com, memorial for Sherman Lee Payne, Sr., memorial no. 8393683, viewed on 10 Sep 2013 (naming James Franklin Payne as his father). [S300] Norma Walker Anderson, Sarah Junell Walker Mullinnix, and Bobbye Roberts Harkins, comps., A Genealogical Record for the Descendants of Lt. Isaac Walker and Elizabeth Stuart (n.p. : n.pub., 1995), p. 156. Rosalie Virginia Walker Byrd, courtesy of Jane Hall. Other Names*: Rosalie Walker, Rosalie Virginia Walker Byrd, Rosalie Virginia Byrd, Rosalie Walker Byrd, Rosalie Byrd. [S300] Norma Walker Anderson, et al., A Genealogical Record for the Descendants of Lt. Isaac Walker and Elizabeth Stuart, above, p. 156-B. [S961] Find A Grave, online at http://www.findagrave.com, memorial for Rosalie Walker Byrd, memorial no. 46872324, viewed on 25 Sep 2013. [S961] Find A Grave, online, above, memorial for Ollie Hiram Byrd, Sr., memorial no. 46872323, viewed on 25 Sep 2013. [S300] Norma Walker Anderson, et al., A Genealogical Record for the Descendants of Lt. Isaac Walker and Elizabeth Stuart, above, p. 156-B (naming Rosalie Virginia Walker as his mother). [S961] Find A Grave, online, above, memorial for Ollie Hiram Byrd, Jr., memorial no. 46872344, viewed on 25 Sep 2013 (naming Rosalie Walker as his mother). [S961] Find A Grave, online, above, memorial for Elizabeth Rosalie Byrd, memorial no. 8393567, viewed on 25 Sep 2013 (naming Rosalie Walker as her mother). [S961] Find A Grave, online at http://www.findagrave.com, memorial for Ollie Hiram Byrd, Sr., memorial no. 46872323, viewed on 25 Sep 2013. [S300] Norma Walker Anderson, Sarah Junell Walker Mullinnix, and Bobbye Roberts Harkins, comps., A Genealogical Record for the Descendants of Lt. Isaac Walker and Elizabeth Stuart (n.p. : n.pub., 1995), p. 156-B. [S961] Find A Grave, online, above, memorial for Rosalie Walker Byrd, memorial no. 46872324, viewed on 25 Sep 2013. [S300] Norma Walker Anderson, et al., A Genealogical Record for the Descendants of Lt. Isaac Walker and Elizabeth Stuart, above, p. 156-B (naming Ollie Hiram Byrd as his father). [S961] Find A Grave, online, above, memorial for Ollie Hiram Byrd, Jr., memorial no. 46872344, viewed on 25 Sep 2013 (naming Ollie Hiram Byrd as his father). [S961] Find A Grave, online, above, memorial for Elizabeth Rosalie Byrd, memorial no. 8393567, viewed on 25 Sep 2013 (naming Ollie Hiram Byrd as her father). • His Find A Grave memorial, which includes a picture of his grave marker and an obituary, is here. [S300] Norma Walker Anderson, Sarah Junell Walker Mullinnix, and Bobbye Roberts Harkins, comps., A Genealogical Record for the Descendants of Lt. Isaac Walker and Elizabeth Stuart (n.p. : n.pub., 1995), p. 156-B (naming Ollie Hiram Byrd as his father). [S961] Find A Grave, online at http://www.findagrave.com, memorial for Ollie Hiram Byrd, Jr., memorial no. 46872344, viewed on 25 Sep 2013 (naming Ollie Hiram Byrd as his father). [S961] Find A Grave, online, above, memorial for Ollie Hiram Byrd, Jr., memorial no. 46872344, viewed on 25 Sep 2013. Birth*: He was born on 20 March 1880. Marriage*: He married Mabel Chapman on 14 February 1951. Death*: He died on 30 April 1951 at age 71. Cornelia Walker Burdine at a family farm near Tupelo, Tex., courtesy of Sherry Burdine Richards. Other Names*: Connie Walker, Cornelia Walker Burdine, Connie Burdine. "Cornelia Walker High, daughter of Mr. and Mrs. E. B. Walker of Ennis, became the bride of Richard B. Burdine, son of Mr. and Mrs. R. B. Burdine of Tupelo, on Wednesday evening at the First Methodist Church with the Rev. Erwin F. Bohmfalk as officiant. "The ceremony was read before an altar décor of white chrysanthemums, Woodwardia palms, and gleaming white tapers in floor candelabra. Miss Joan Burdine of Tupelo, sister of the bridegroom, lighted the tapers. "Miss Jewell Taylor was at the organ for a prelude of nuptial melodies, accompaniments for Mrs. Boyce Martin who sang “I Love You Truly” and “Because,” and the traditional wedding marches. "The bride, given in marriage by her brother-in-law, Melton J. Pollan of Rice, was attired in slate blue crepe with fuchsia feather hat, black accessories and carried a prayerbook arrangement of white carnations centered with an orchid. "Mrs. Melton J. Pollan of Rice, sister of the bride, served as matron of honor. She wore taupe crepe with black accessories and carried a colonial bouquet of deep pink carnations. Eugene Young of Dallas was best man. "The bride’s mother chose brown crepe with matching accessories and wore a corsage of gold chrysanthemums. The bridegroom’s mother was attired in a lime green dressmaker suit with black accessories and a corsage of pink carnations. "After a honeymoon trip to Carlsbad, N. M., Mr. and Mrs. Burdine will make their home in Dallas. For travel the bride wore a coffee brown dressmaker suit with brown accessories and an orchid corsage. [S300] Norma Walker Anderson, Sarah Junell Walker Mullinnix, and Bobbye Roberts Harkins, comps., A Genealogical Record for the Descendants of Lt. Isaac Walker and Elizabeth Stuart (n.p. : n.pub., 1995), p. 157 (naming Ethelbert Barksdale Walker as her father). [S300] Norma Walker Anderson, et al., A Genealogical Record for the Descendants of Lt. Isaac Walker and Elizabeth Stuart, above, p. 157 (naming Mabel Chapman as her mother). [S58] Index to Texas Birth Records (Austin, Tex. : Tex. Dept. of Health, Bur. of Vital Statistics), typescript 1920, vol. 3, 1357, file 50644 (not naming the town). [S300] Norma Walker Anderson, et al., A Genealogical Record for the Descendants of Lt. Isaac Walker and Elizabeth Stuart, above, p. 157. [S1208] Laurel Land Funeral Home, Dallas, Tex., online at http://tinyurl.com/3jt5qtv, ca. 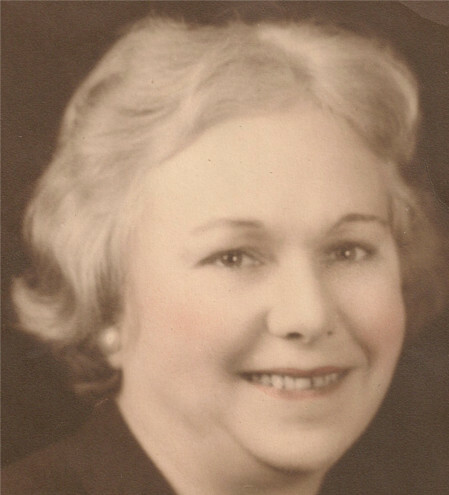 3 Jun 2011, viewed on 17 Jun 2011 (obituary of Cornelia Walker Burdine). [S1207] Corsicana Daily Sun, Corsicana, Tex., online archive at http://corsicana.newspaperarchive.com, 24 Feb 1945, p. 2, col. 3. [S90] Mrs. Dillard Ellington, "Cal Burdine Family," in Navarro County History, vol. 2 (Corsicana, Tex. : The Navarro County Hist. Soc'y, 1978), pp. 205-06 (not giving the date). [S585] Corsicana Daily Sun, Corsicana, Tex., online at http://www.corsicanadailysun.com 24 Dec 2004 (obituary of Richard Burdine) (not giving the date but stating that they had been married fifty-eight years when he died on 22 Dec 2004). 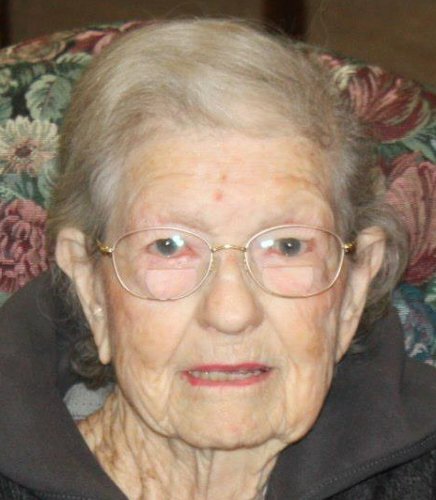 [S585] Corsicana Daily Sun, Corsicana, Tex., online at http://www.corsicanadailysun.com (obituary of Cornelia Burdine). [S1207] Corsicana Daily Sun, Corsicana, Tex., online archive, above, 29 Nov 1946, p. 4, cols. 7-8 (reprinted here with consent of the Corsicana Daily Sun). 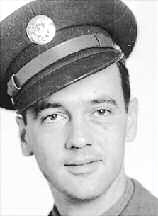 • A partial summary of his military service, from The Men and Women in World War II from Navarro County, Texas, p. 41, is. 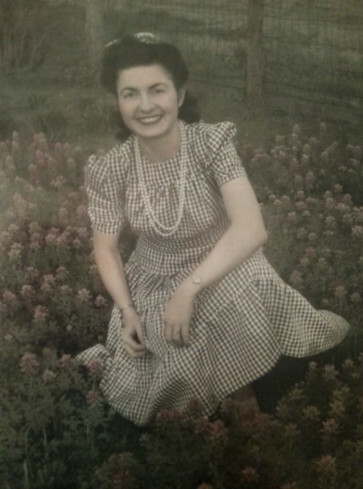 [S79] Mrs. Dillard Ellington, "Joe Edmundson Family," in Navarro County History, vol. 2 (Corsicana, Tex. : The Navarro County Hist. Soc'y, 1978), p. 206 (naming Annie Maud Edmundson as his mother). [S585] Corsicana Daily Sun, Corsicana, Tex., online at http://www.corsicanadailysun.com 24 Dec 2004 (obituary of Richard Burdine) (naming Maud Burdine as his mother). [S79] Mrs. Dillard Ellington, "Joe Edmundson Family," above (naming Richard Baxter Burdine as his father). [S585] Corsicana Daily Sun, Corsicana, Tex., online at http://www.corsicanadailysun.com 24 Dec 2004 (obituary of Richard Burdine) (naming Baxter Burdine as his father). [S585] Corsicana Daily Sun, Corsicana, Tex., online at http://www.corsicanadailysun.com 24 Dec 2004 (obituary of Richard Burdine). [S300] Norma Walker Anderson, Sarah Junell Walker Mullinnix, and Bobbye Roberts Harkins, comps., A Genealogical Record for the Descendants of Lt. Isaac Walker and Elizabeth Stuart (n.p. : n.pub., 1995), p. 157. [S1207] Corsicana Daily Sun, Corsicana, Tex., online archive at http://corsicana.newspaperarchive.com, 29 Nov 1946, p. 4, cols. 7-8 (reprinted here with consent of the Corsicana Daily Sun). [S90] Mrs. Dillard Ellington, "Cal Burdine Family," above (stating that he served in the Army Air Corps in World War II). [S300] Norma Walker Anderson, et al., A Genealogical Record for the Descendants of Lt. Isaac Walker and Elizabeth Stuart, above, p. 157-A. [S1364] Obit Tree, online at http://tinyurl.com/jcpg5ak, viewed on 7 Sep 2016 (obituary of Fannie Lee Pollan) (giving the date but not the place). [S300] Norma Walker Anderson, et al., A Genealogical Record for the Descendants of Lt. Isaac Walker and Elizabeth Stuart, above, p. 157-A (giving only the date). [S1364] Obit Tree, online at http://tinyurl.com/jcpg5ak, viewed on 7 Sep 2016 (obituary of Fannie Lee Pollan). Melton Jess ('Red') Pollan, courtesy of Phil Pollan. [S300] Norma Walker Anderson, Sarah Junell Walker Mullinnix, and Bobbye Roberts Harkins, comps., A Genealogical Record for the Descendants of Lt. Isaac Walker and Elizabeth Stuart (n.p. : n.pub., 1995), p. 157-A. [S1241] Memorial service program, Melton (Red) Jess Pollan, 5 May 2012 (giving the date but not the place). [S1241] Memorial service program, Melton (Red) Jess Pollan, 5 May 2012. Other Names*: Mary Lou Walker Cowles, Mary Lou Cowles. [S961] Find A Grave, online at http://www.findagrave.com, memorial for Mary Lou Cowles, memorial no. 82880046, viewed on 10 Feb 2013 (giving the date but not the place). [S267] Dorothy Bartlett, Rice, Tex., telephone conversation with Roger Bartlett, 9 Jul 1997. [S961] Find A Grave, online, above, memorial for Mary Lou Cowles, memorial no. 82880046, viewed on 10 Feb 2013 (not giving the date).